Kojo Senoo/Pipe Dream Photographer Freshman infielder Marissa Braito had a team-high six hits as BU was swept in a series against UMass Lowell. To finish off its five-game homestand, the Binghamton softball team squared off with UMass Lowell in a three-game series this weekend. Looking to improve from getting swept by second-place Albany on Wednesday, the Bearcats tried to play more complete games against the River Hawks, but ultimately saw the same result against the America East’s (AE) top team, dropping all three games despite contested scores and extending Binghamton’s losing streak to five. Each game on Saturday’s twin bill featured both a strong performance from Binghamton’s starters and the Bearcats (14-21, 3-8 AE) jumping out to early leads, but also showcased UML (20-12, 8-0 AE) taking the advantage in the seventh inning due to a lack of offensive production for BU. In the opener, the Bearcats jumped out to a quick lead off a bases-clearing triple from sophomore utility player Sarah Benn in the first inning. Down by three from the start, the River Hawks slowly clawed their way back with three runs that were not driven in by a hit. Two sacrifice flies and an error allowed UMass Lowell to tie the game by the end of the third inning, while Binghamton’s bats fell lifeless. The Bearcats failed to score for the remainder of the contest despite junior pitcher Rayn Gibson throwing a complete game. In the top of the seventh, the River Hawks took the lead on a sacrifice fly, taking a 4-3 edge and marking another hitless run for UML. BU went down quietly in the bottom of the seventh, and Gibson was charged with the defeat despite striking out six and allowing only three earned runs. Binghamton’s offensive struggles continued in the nightcap, but some timely hitting put the team in a decent position to win late, largely thanks to junior pitcher Rozlyn Price’s performance starting the game. Price’s first six innings were masterful, as she allowed only one run on four hits and struck out four River Hawk batters. Binghamton’s hitters began providing Price with some run support in the fifth inning when sophomore infielder Makayla Alvarez drilled a home run to left center, tying the game at one. In the following frame, junior catcher Sara Herskowitz helped BU take a 2-1 lead on an RBI single. Pitching with a lead in the seventh inning, Price was tagged for four hits and two runs. UMass Lowell rallied behind small ball to take and hold a 3-2 advantage for the remainder of the game. The Bearcats trailed nearly wire-to-wire in Sunday’s finale, falling behind 4-0 in the second inning and failing to pull within a run for the remainder of the game. UML’s offense was powered by redshirt junior infielder Casey Harding, who blasted a three-run homer to dead center field and set the game’s tone. A late effort from BU helped the team plate three runs in the game’s final innings, but two insurance runs from UML helped seal the sweep. The failure of the Bearcats to produce consistently on offense hurt them throughout the series, as the team’s pitchers did not throw with a comfortable margin at any point of this weekend’s games. This both enabled the River Hawks to stay within games despite trailing, and take the lead when necessary. 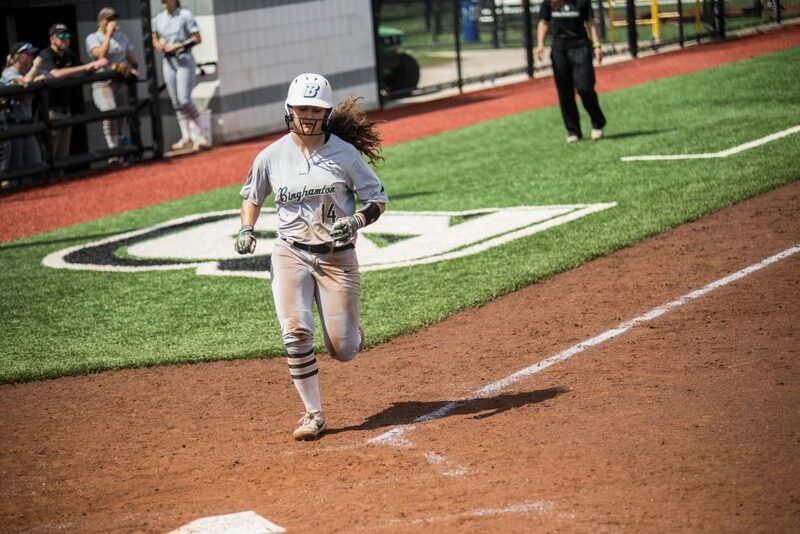 A lone constant in BU’s offense was freshman infielder Marissa Braito, who batted 6-for-11, stole two bases and scored four runs in the series. As the leadoff hitter, she was able to start frames strongly for the Bearcats, but the team failed to capitalize in lieu of her presence leading off. After grinding through a gauntlet against the AE’s top-two teams, the Bearcats return to nonconference play on Thursday when they travel to Lewisburg, Pennsylvania to take on Bucknell in a doubleheader. First pitch from Becker Field is scheduled for 3 p.m.